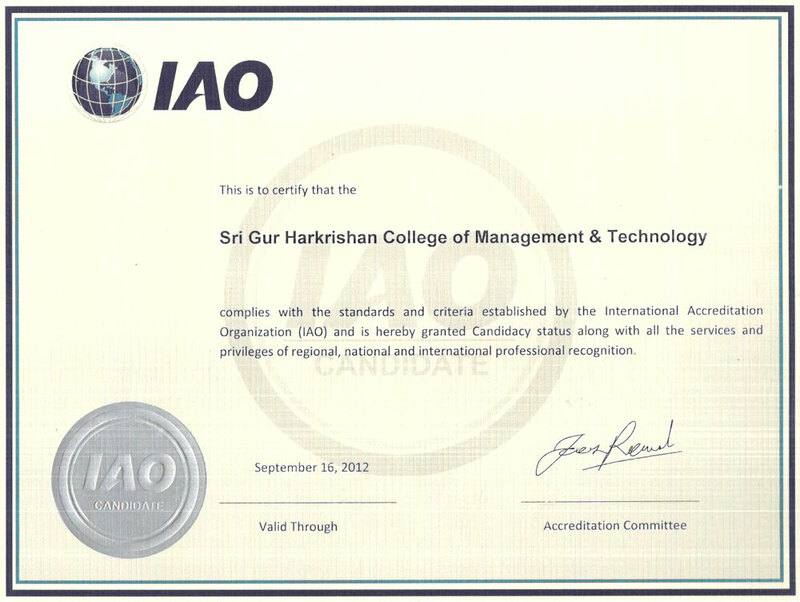 IAO is a non-profit international quality assurance agency based out of Houston TX, United States and it's main goal is to enhance the standards of education worldwide. IAO accredits and evaluates education providers by using its unique patented Point Profile System, through its 100+ commission members spread in more than 31 countries of the world. 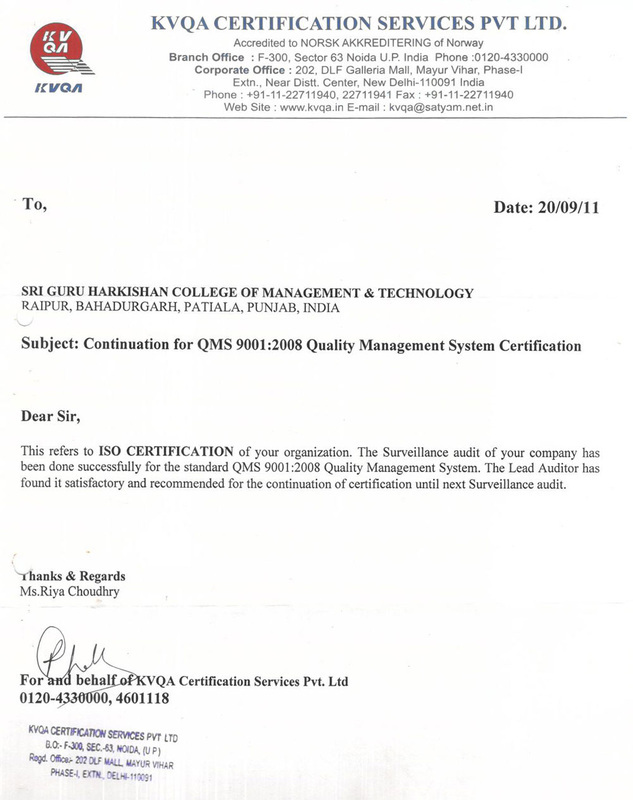 College has got certification from ISO, which is an International Organisation and it certifies that the services provided by ISO Certified Institutions are qualitative, affordable and standardised.